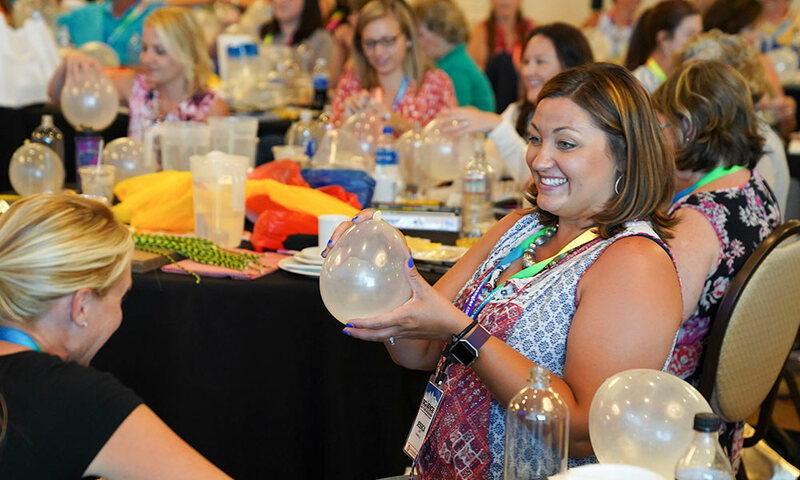 Join Steve Spangler for an amazingly fun, three-day professional development experience that is guaranteed to make STEM more exciting and meaningful for your students. 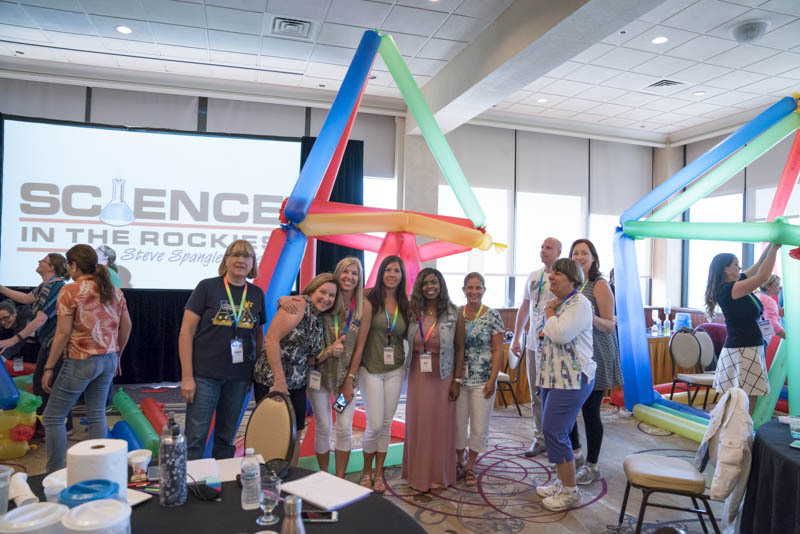 Science in the Rockies is perfect for educators, administrators and curriculum specialists (Pre-K to 8) who want to explore best practices, instructional strategies and high-level engagement pedagogy for inspiring students through STEM. 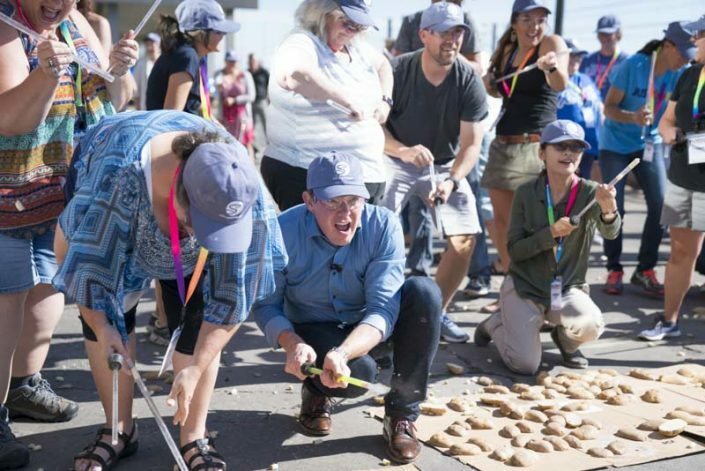 Oh, and you’ll participate in more than 75 of Steve’s favorite demonstrations and experiments. 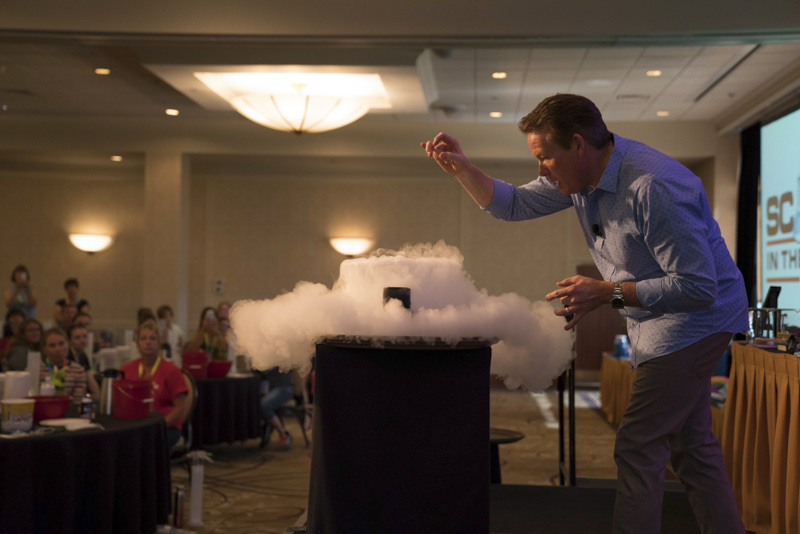 Most importantly, Steve Spangler will take the fear out of teaching science and help you become a more effective STEM teacher… guaranteed! 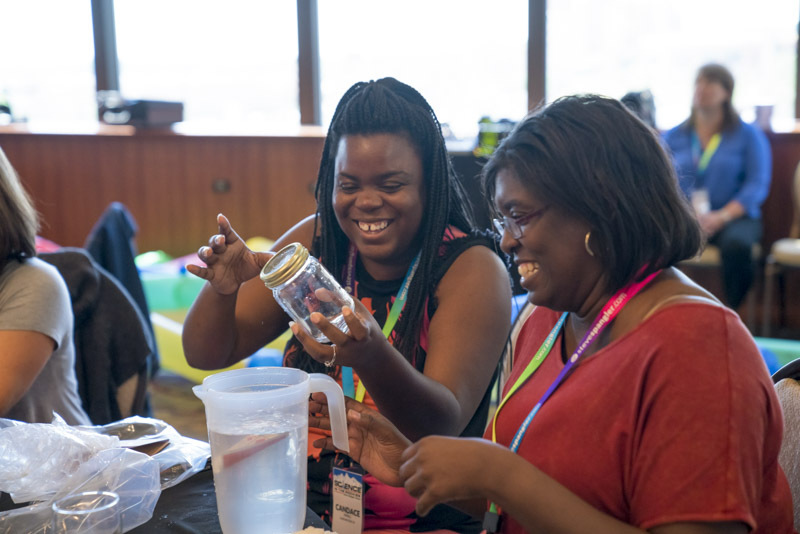 You’ll leave this experience with the knowledge, presentation skills, confidence, and tools to make science the favorite part of your teaching day. Early Registration Rate before April 19, 2019 – $1,095! – Limited seats! 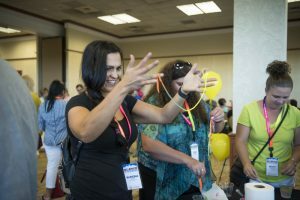 This was truly one of the best teacher training events I have ever attended. Steve’s enthusiasm is infectious, the experiments are well thought out, carefully crafted and reliable. I thoroughly recommend this to anyone wondering if it is worthwhile or not. This was my 2nd year in a row to attend! 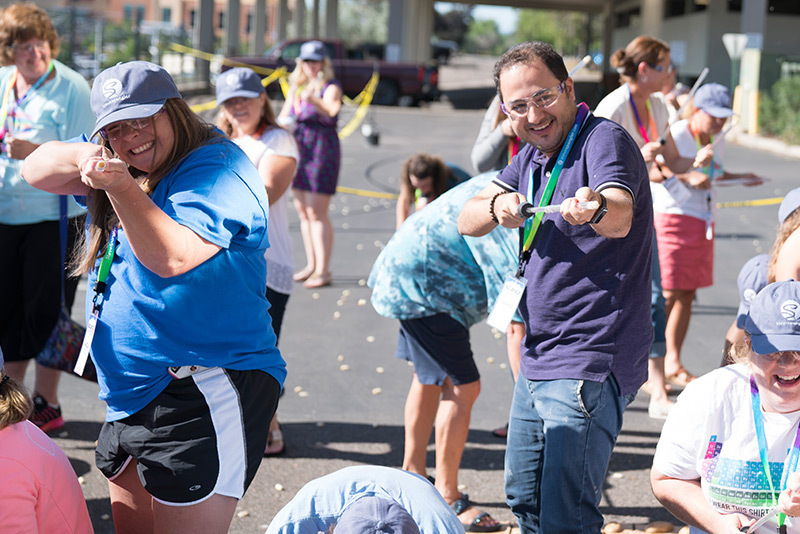 Science in the Rockies is the perfect PD to get you motivated and empowered for the upcoming school year. 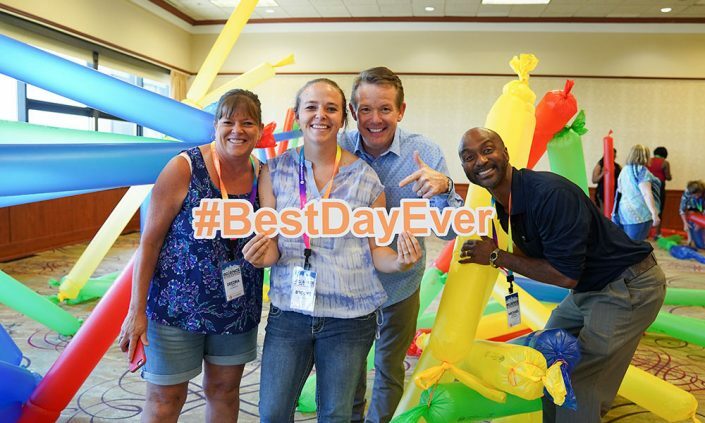 Steve and his team do an amazing job communicating the importance inquiry, while showing how to create a #BESTDAYEVER for each and every scholar. I’m so blessed that I got to spend three days with a master teacher. 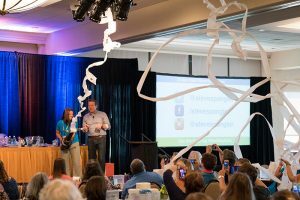 Steve Spangler completely changed the way I’m going to run my classroom. Without question, my students are better off because I was here. If you ever attend a workshop or conference again – you need to Make this one top priority. You will not be disappointed! You will walk away with more ideas and quality supplies than you ever will from any other conference. You will also never laugh so hard or be treat better. 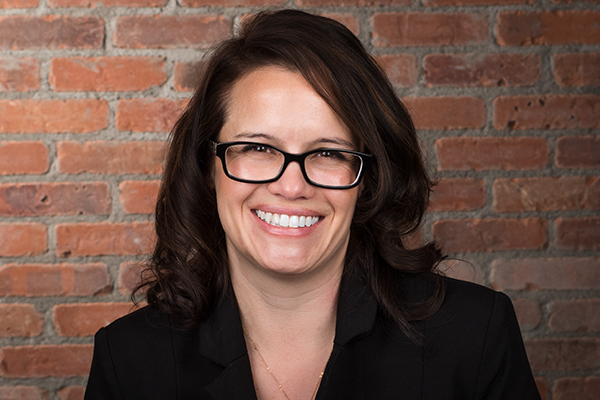 Steven Spangler and his staff are very knowledgeable and very caring. I will be attending again and possibly attend other workshops they have panned. Not to repeat myself but you will not be disappointed! THREE DAYS – Spend three amazing days with Steve Spangler as he shares his techniques for creating STEM experiences that get kids excited about learning more and doing more. 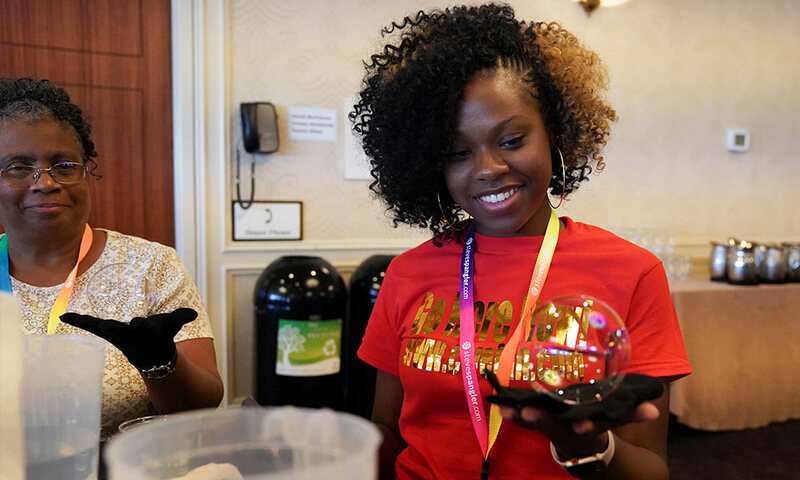 AMAZING EXPERIMENTS – Participate in more than 75 hands-on STEM experiments, demonstrations and design challenges that are aligned with the Next Generational Standards. TAKE-HOME MATERIALS – Take home over $400 worth of teaching materials and supplies. 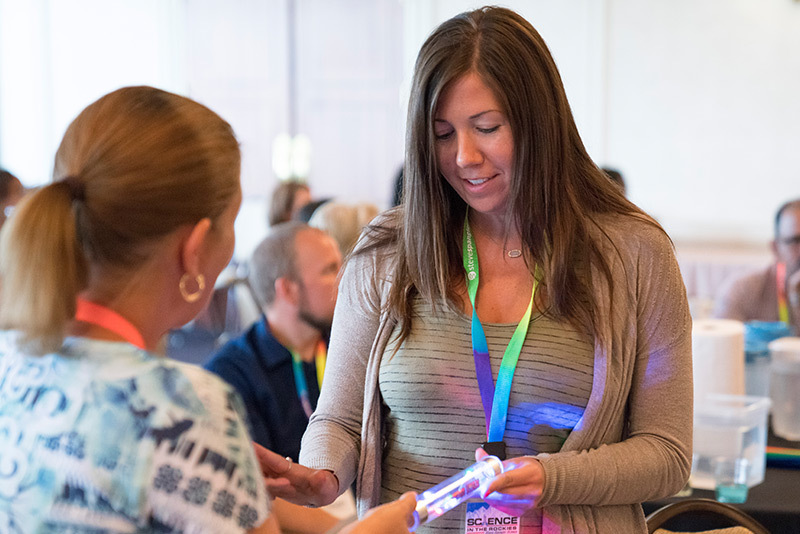 BUILD CONNECTIONS – Explore new standards-based approaches and best practices to build connections that promote engagement and learning integration at the highest level. 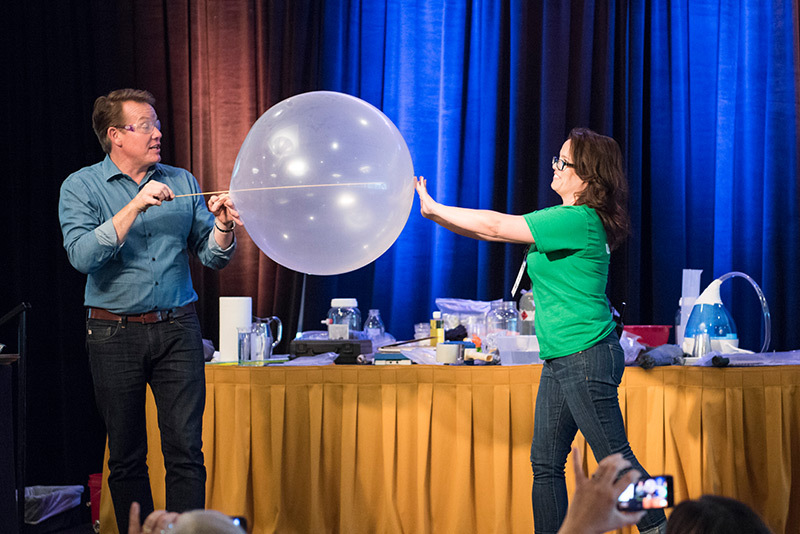 NO FEAR – Steve Spangler will take the fear out of teaching science and help you become a more effective STEM teacher… guaranteed! 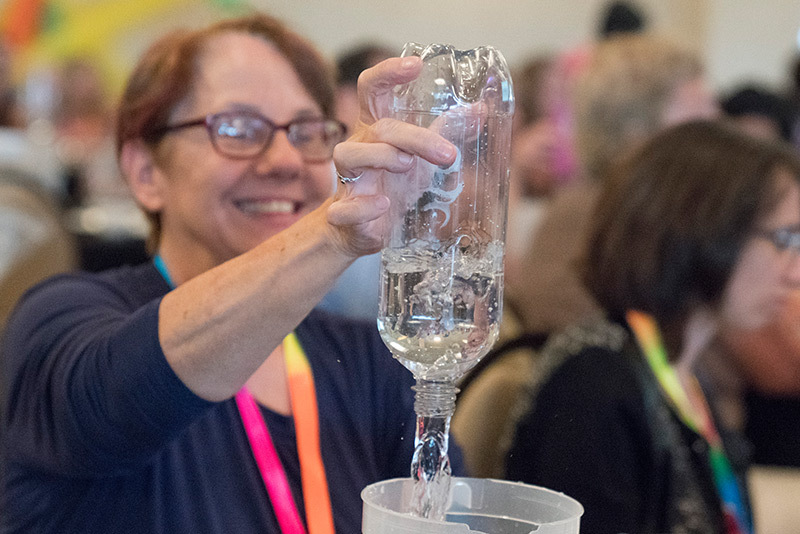 You’ll leave this seminar with the knowledge, presentation skills, confidence, and tools to make science the favorite part of your teaching day. ** Earn professional development hours and/or university credit through this accredited program. The Science in the Rockies experience is unlike any professional development training you’ve ever attended. 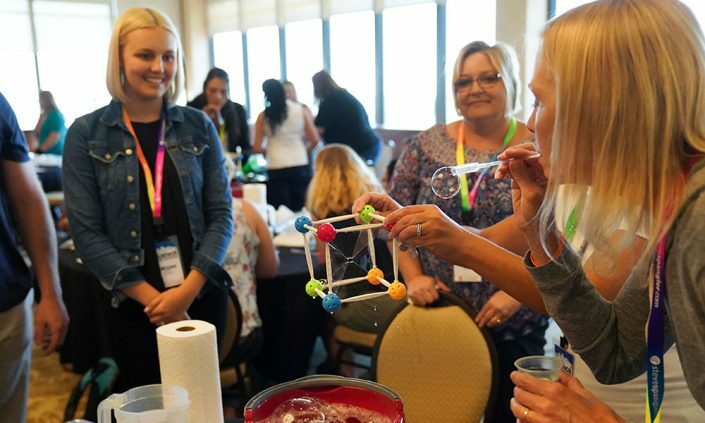 This innovative workshop focuses on best practices for student engagement strategies as the learner uses inquiry-based science to explore popular STEM (science, technology, engineering and math) challenges. This is not a “sit-and-watch” teacher training… this is a “get-up-and-do” learning experience featuring over 75 engaging activities that you can take home and immediately share with your students. 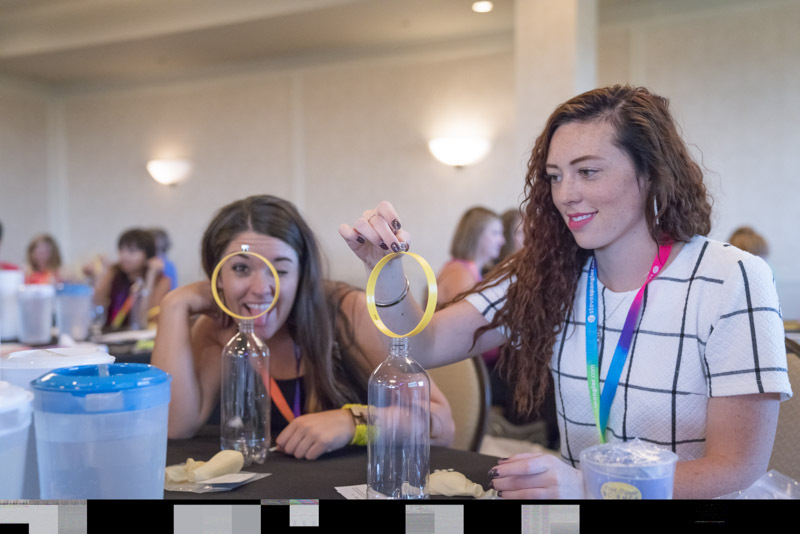 You’ll learn the science behind the fun while practicing how to present the science activities in your classroom. Most importantly, you’ll learn how to use Steve Spangler’s unique strategies for turning ordinary activities into practical experiences that teach solid STEM. STEM… STEAM… STREAM… STEMM… STEMSS… Yes, we’ve heard them all and it’s exhausting. 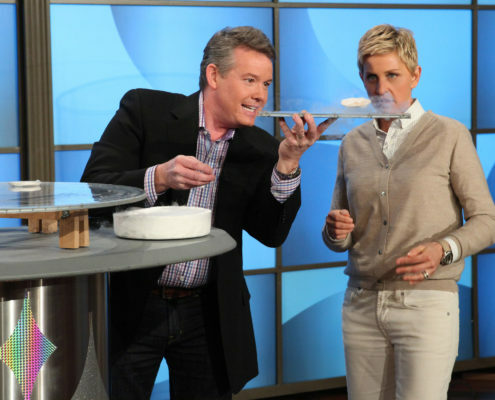 It’s really all about inspiring the next generation of scientists and engineers… and no one does it better than Steve Spangler. The difference between good teachers and great teachers isn’t WHAT they know… it’s HOW they present it. It’s all about the person… the teacher… and the way the material is presented. That’s why we’re going to give you a crash course in using presentation skills and showmanship to fascinate and captivate your students as you work to strengthen critical thinking skills and the desire to want to learn more. You’ll leave the science workshop with all the tools you need to become the best science teacher possible, including over $400 of gizmos, gadgets, hands-on learning materials for your students, hard-to-find supplies, and cool resources that accompany the Science in the Rockies curriculum. You’ll also receive a detailed instructions, in-depth explanations and real-world applications behind all of the experiments and demonstrations. 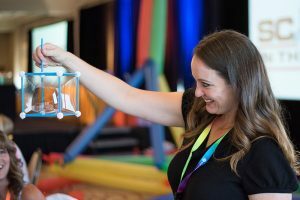 In just three days, you will learn how to use exploration and inquiry to create unforgettable learning experiences for your students. Join us in Colorado for this inspiring science workshop and take your teaching to a whole new level! 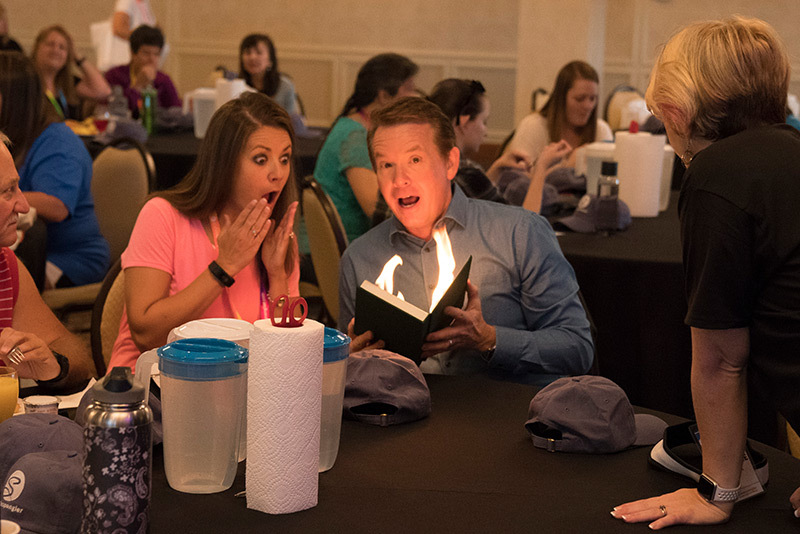 Steve Spangler will kick-off your three-day experience with a high-energy morning session that will have you laughing, learning and thinking about the impact and influence you have on students. Steve will take you beyond the “what” and “how” as you explore the “why” behind the STEM, STEAM, STREAM movements that are all jockeying for our attention in school systems around the world. 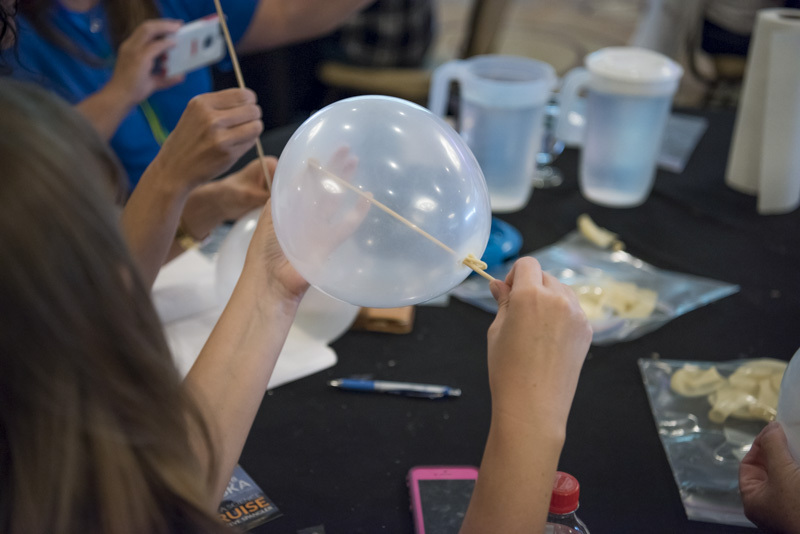 Next, you’ll roll up your sleeves and dig into some hands-on fun that will reinforce the teaching strategies and presentation methods Steve uses to get students to think like a scientist. The afternoon is packed with eye-catching demonstrations and hands-on activities that encourage students to “play with a purpose.” Learn how to help children pursue the “why-factor” and begin to wonder, discover, and explore. By the end of the day, your head will be spinning with ideas! 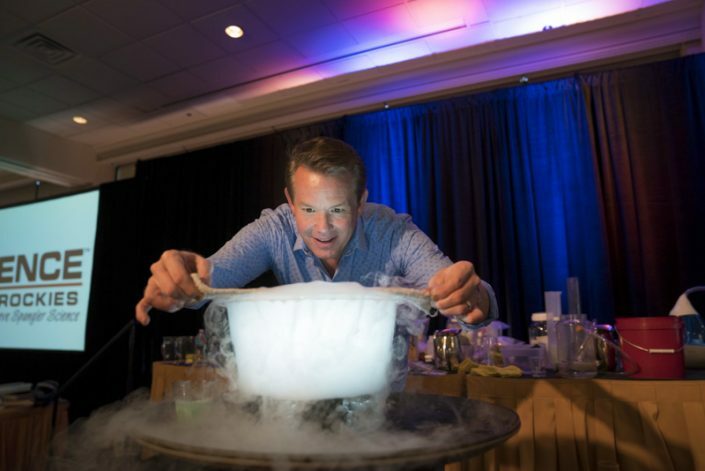 With over 150 million views and counting, Steve Spangler’s insanely popular SICK Science® videos on YouTube inspire inquisitive minds to turn online science experiments into a personal, hands-on learning experience filled with wonder, discovery and exploration. Steve Spangler takes you on a journey as he uncovers the amazing engagement strategies he learned as an official YouTube partner and contributor to their EDU development team. Steve shares effective strategies for integrating his SICK Science videos into nearly every aspect of your learning curriculum. Learn how to use over 250 videos to teach the scientific method and strengthen problem-solving skills. 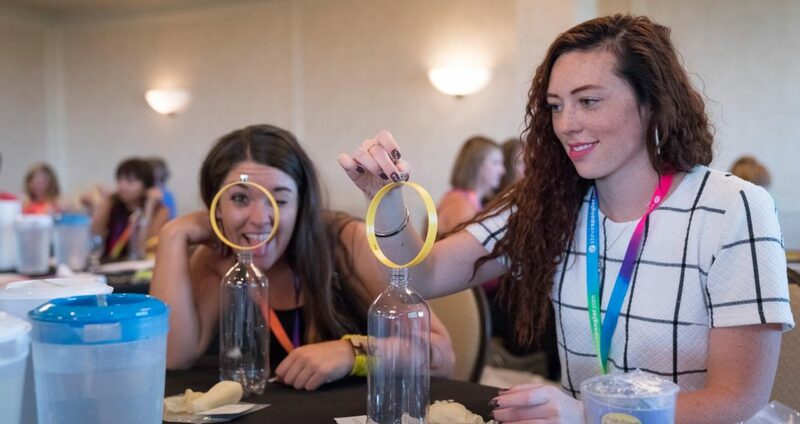 Build STEM connections with “Take-It-Further” activities that turn open-ended questions into an integrated learning experience. Best of all, you’ll take home the materials needed to conduct more than a dozen SICK Science experience in your classroom the very next day. No need to spend the evening in your hotel room when Boulder is just 30 minutes away. Join Steve and his team for a casual evening on Boulder’s iconic Pearl Street Mall. This one-of-a-kind outside mall offers an eclectic shopping experience and amazing restaurants in a setting that is uniquely Boulder, Colorado. More details about this event after you register. Great business leaders focus on the customer experience just as great teachers focus on creating amazing student experiences. Steve Spangler looks at the science behind creating learning experiences that shape the way our students think about STEM based careers. 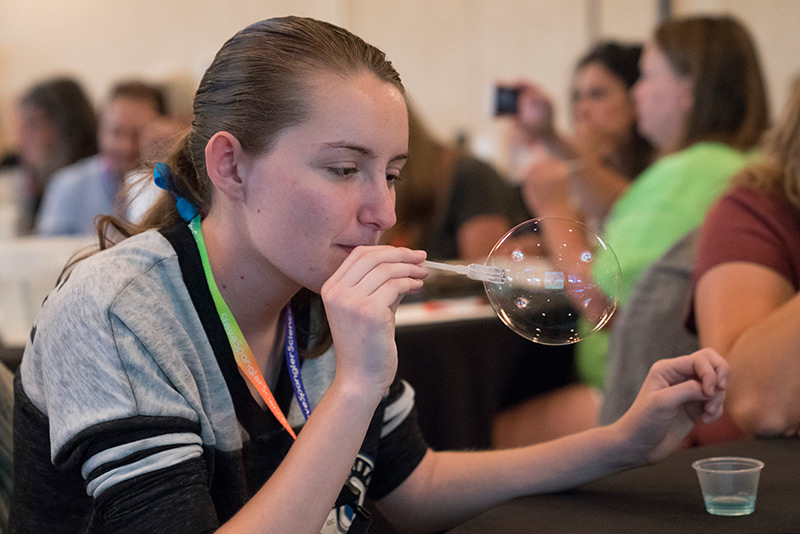 You’ll participate in 20 additional cool science demonstrations and hands-on activities that are guaranteed to get your students thinking about science, talking about science, and doing science! 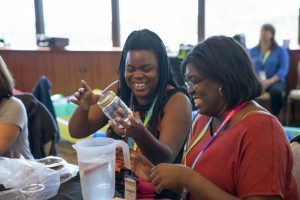 There will also be an opportunity on this final day for you to share some of your best science secrets and strategies for integrating science into your curriculum. The final day wraps up at 12:00 PM so that you have plenty of time to catch an early evening flight out of Denver or to head up to the mountains to enjoy your extended stay. Visit www.FlyDenver.com to find a flight or learn more about the airport. 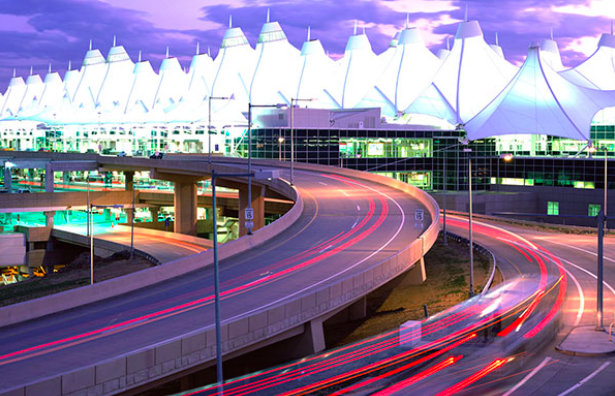 The Denver International Airport is located 30-45 minutes from the hotel. We have setup a discounted rate with SuperShuttle for all Science in the Rockies participants. Details on booking your SuperShuttle reservation will be included in your confirmation email. The ride from Denver International Airport to the Sheraton Denver West is around 45 minutes. The trains run every 15 minutes and the trip should take a little over an hour. You will have to change trains at Union Station downtown to take the W Line to the Federal Center Station. The hotel is 3 blocks away from the Federal Station. We estimate the cost to be around $14 each way. This is a good option if you don’t mind walking a little with your luggage and changing trains. 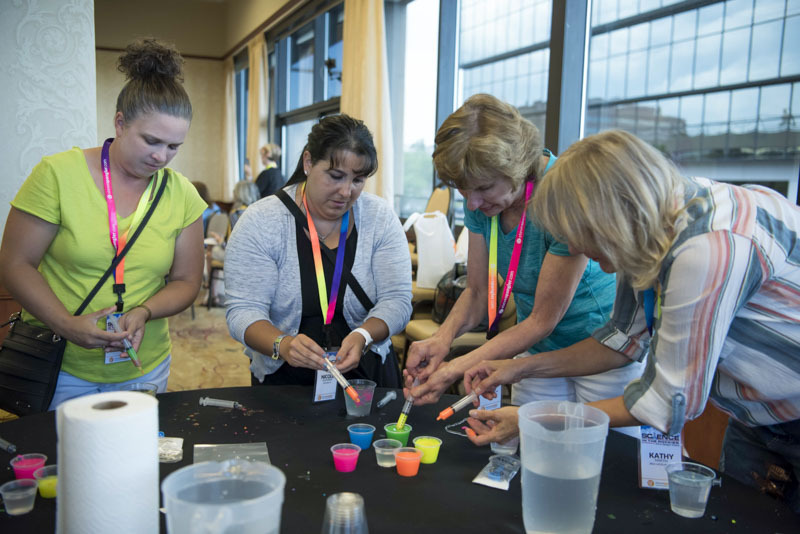 The Sheraton Denver West Hotel is the official conference hotel for Science in the Rockies. The hotel is located just 30-45 minutes from Denver International Airport. A special group room rate of $145 per night for Science in the Rockies attendees has been set up. Details to book within this block will be provided in your confirmation email. Discounted rooms are limited, so please be sure to make your reservations early. 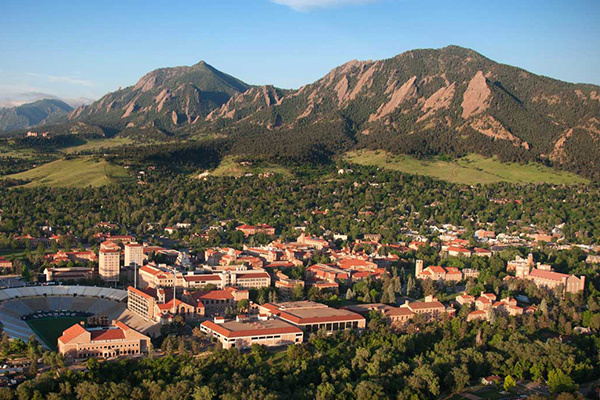 We’re planning a networking evening to Boulder, Colorado. 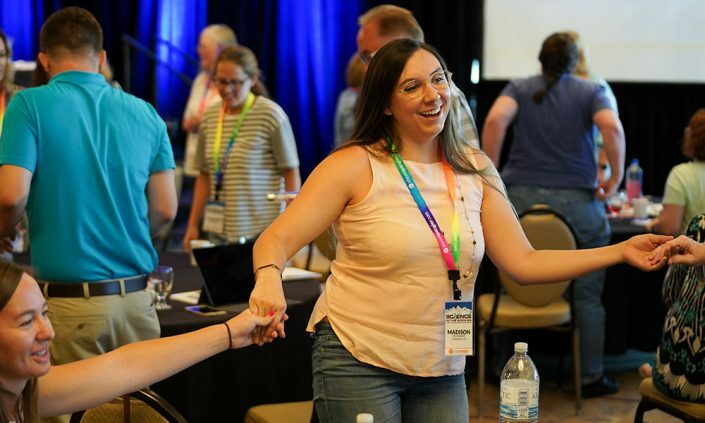 It is a great time to connect with each other outside of the event and experience the always eclectic and sometimes strange Pearl Street Mall on Thursday evening during the conference. No, it’s not an indoor mall with Nordstroms. Pearl Street Mall is an outdoor area filled with one of a kind restaurants, cool shops and street performers that make Boulder one of those amazing places to visit. On Wednesday July 10th, our buses will leave the hotel at 5:00pm and we’ll return back to the hotel between 9:30pm – 10:00pm. The cost of the round trip transportation is included in your registration fee if you would like to attend. 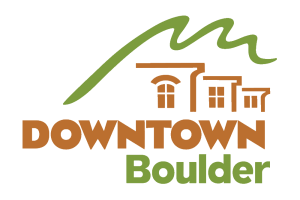 To reserve your seat for the Boulder trip please follow the options in registration form or give us a call at 855-228-8780. WHAT ARE THE DATES FOR SCIENCE IN THE ROCKIES? 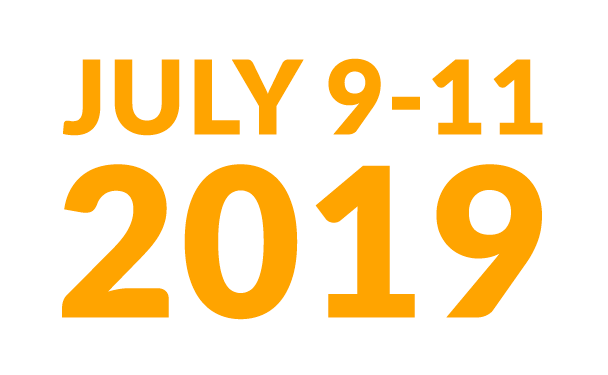 The conference is July 9-11, 2019. Plan on arriving in Denver Colorado on July 8th. The conference ends at 12:00pm on the 11th. If you are flying out on the 11th we suggest booking your flight after 4:00pm so you don’t miss any of the conference. I’M NOT A TEACHER, CAN I ATTEND? 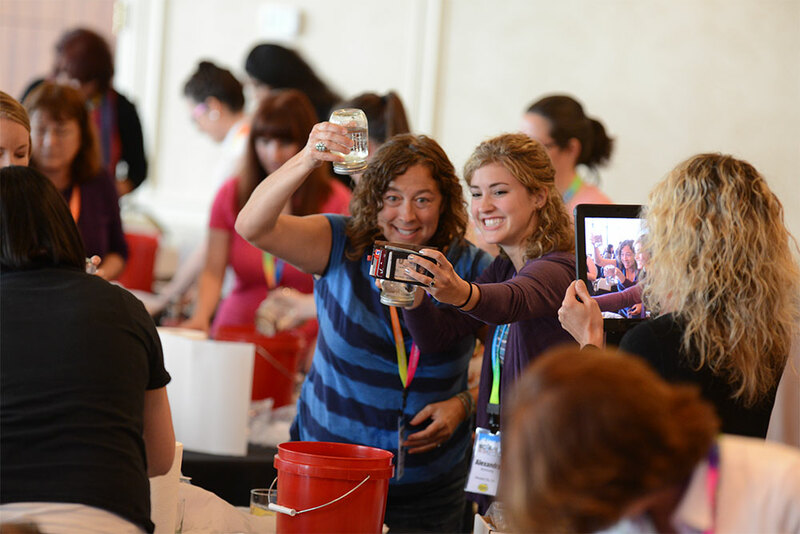 Our Science in the Rockies workshop is designed for teachers. If you are not a teacher, please contact Carly at 855-228-8780 to talk about what programs may be the best match for you. HOW WILL I BE A BETTER STEM TEACHER? 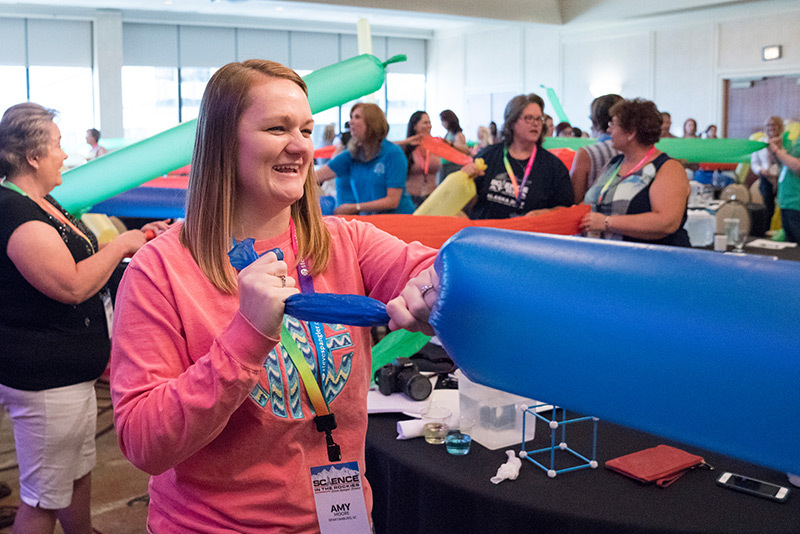 The goal of Science in the Rockies is to show early childhood educators (K-8) how to use proven best practices and teaching strategies to make STEM more exciting, more engaging, more interactive, and more meaningful in their classrooms. 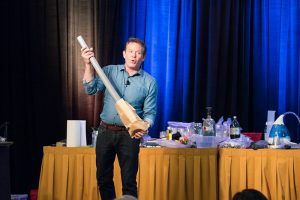 Bottom line… Steve Spangler will take the fear out of teaching science and help you become a more effective science teacher… guaranteed! You’ll leave this seminar with the knowledge, presentation skills, confidence, and tools to make science the favorite part of your teaching day. HELP ME CONVINCE MY ADMINISTRATOR TO SEND ME! Let’s face it, some workshops look great on paper (okay, on your screen) but don’t necessarily live up to the hype or the promises made in the marketing materials. You never have to worry about delivering amazing content and exceptional value when it comes to any Steve Spangler experience. 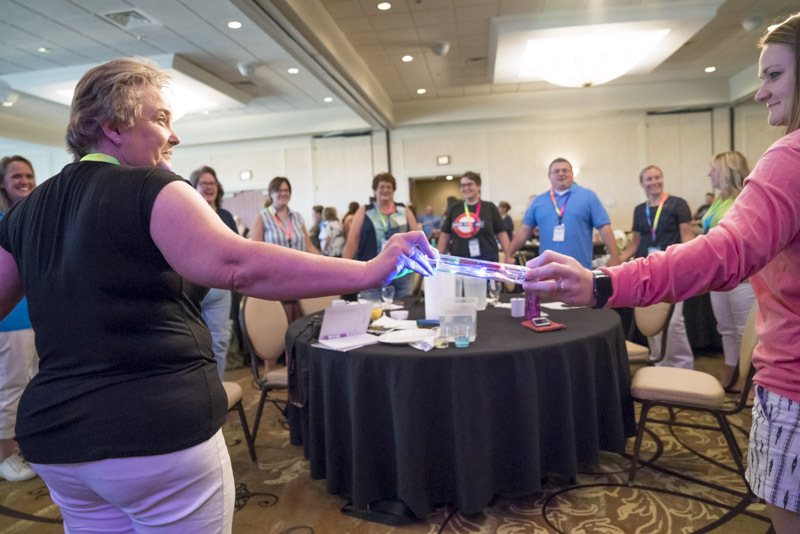 Nearly a quarter of a million educators have attended a Steve Spangler experience over the last 25 years, and participants consistently rank his experience among the top they’ve ever seen. Spangler started his career as a science teacher and has never left the classroom. The knowledge and wisdom he shares comes from real-world experience. 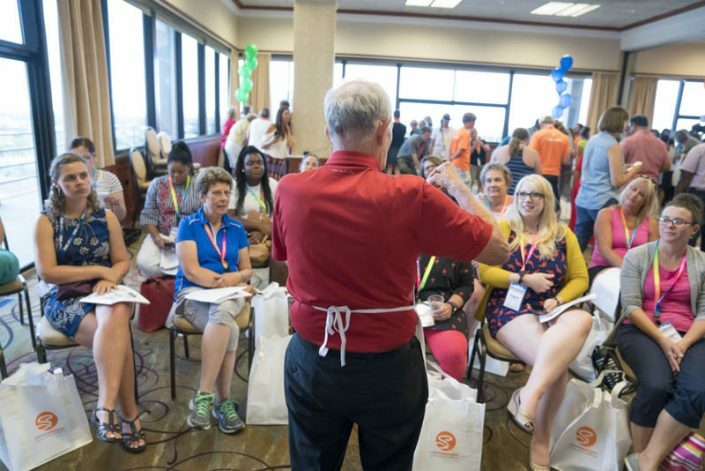 He’s a best-selling science author and the creator of over 375 hands-on science kits, manipulatives and teaching tools that are being used today in classrooms around the world. 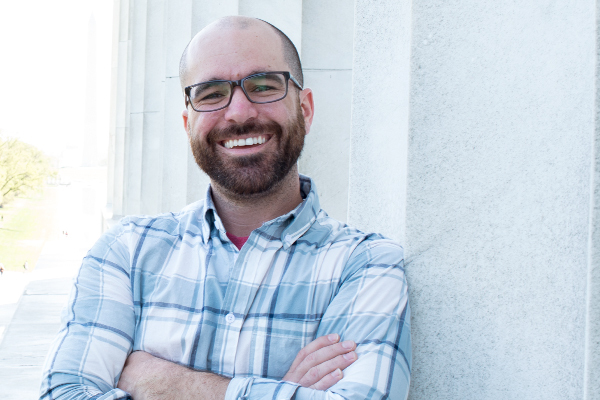 Whether he’s teaching 25 students in a classroom or interacting with millions of people online, Spangler understands the science of engagement. 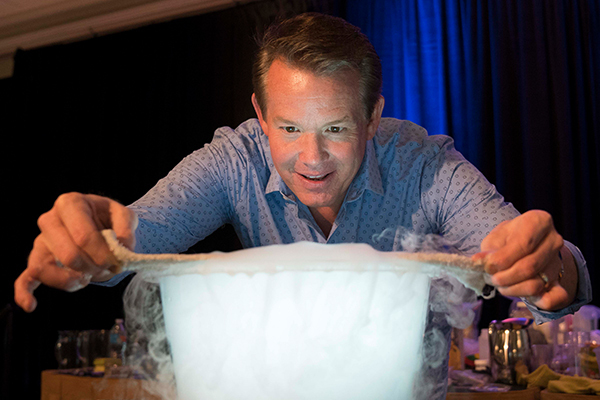 As one of the most visible advocates for STEM education today, Spangler’s 1,300 television appearances and over 6,500 live presentations demonstrate his passion for making science fun. Bottom line… Steve Spangler delivers teaching strategies guaranteed to inspire the next generation of scientists & engineers. 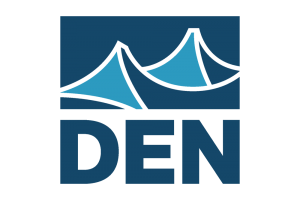 Science in the Rockies takes place on the 2nd floor at the Sheraton Denver West Hotel, 360 Union Boulevard, Lakewood CO, 80228. Absolutely! 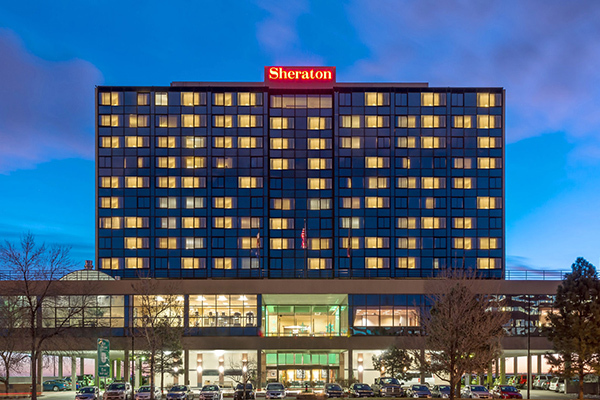 We’ve negotiated a special discounted room pricing for our conference attendees for $145 per night at the Sheraton Denver West. Details on how to book your room will be located in your registration confirmation email. 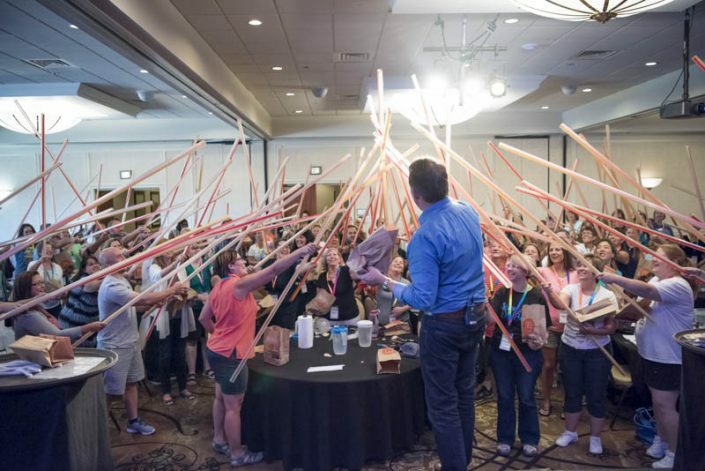 The cost of the three-day Science in the Rockies training with Steve Spangler is $1,295. This price includes over $400 of take-home materials and classroom supplies and a training manual that details every aspect of your learning experience, from the detailed instructions and recipes to the in-depth explanations and real-world applications. No need to worry about how to get all of your materials back home on the airplane… we will ship them (for a flat rate – $50) right to your front door! The registration fee also includes a continental breakfast each morning! Yes! If you are sending a large group, please contact Carly at 855-228-8780 to discuss pricing options. WILL TRANSPORTATION BE PROVIDED TO AND FROM THE WORKSHOP AND THE AIRPORT? We will have special discounts setup with different transportation vendors in the Denver area. Details will be in your confirmation emails. Plan on spending around $70 round trip for transportation to and from the airport through Super Shuttle. To receive a full refund, cancellations must be made by June 1, 2019. Due to planning purposes any cancellation made after the June 1, 2019 deadline will be eligible for a 50% refund. DOES THE WORKSHOP ALIGN WITH MY STATE’S ACADEMIC STANDARDS? 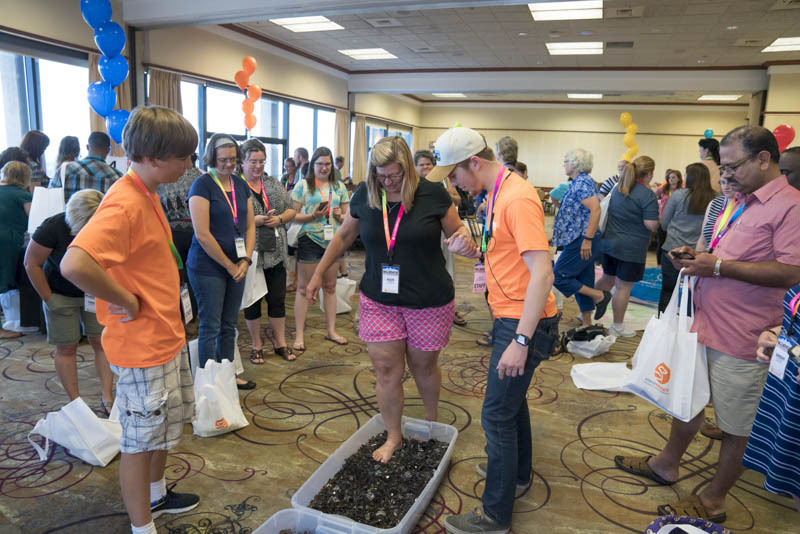 Science in the Rockies is aligned with the Next Generation Science Standards. You will received all of the alignments for your grade with your materials. We also send you home with common core connections! HOW IS SCIENCE IN THE ROCKIES DIFFERENT FROM THE OTHER TEACHER TRAINING OPPORTUNITIES OFFERED BY STEVE SPANGLER SCIENCE? Science in the Rockies is a three-day, intensive workshop in Colorado. Other professional development opportunities with Steve take place around the country and are only one-day (six hours) in duration. Science in the Rockies goes into much more depth about the scientific concepts and teaching strategies than the Hands-on Science Boot Camp and Steve’s other introductory teacher training programs. 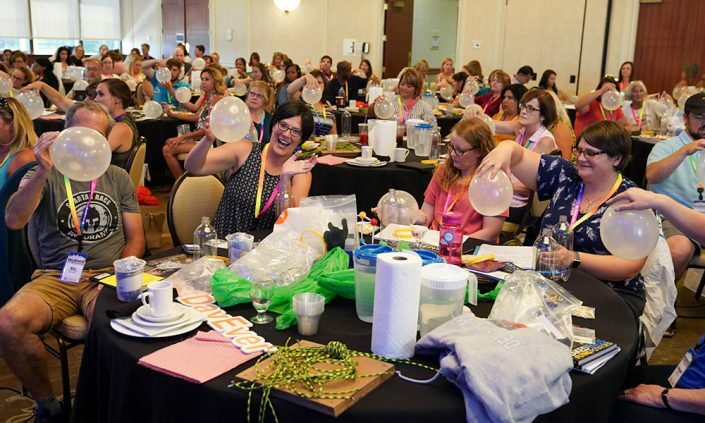 At Science in the Rockies, you will receive over $400 of materials and supplies to take home with you so that you can start implementing Steve’s science activities and strategies immediately. The other introductory workshops provide a “Survival Kit” that offers enough supplies to participate in the activities at the workshop with a few added gizmos and gadgets to share with your students. The notebook that accompanies the Science in the Rockies curriculum is 250 pages long. 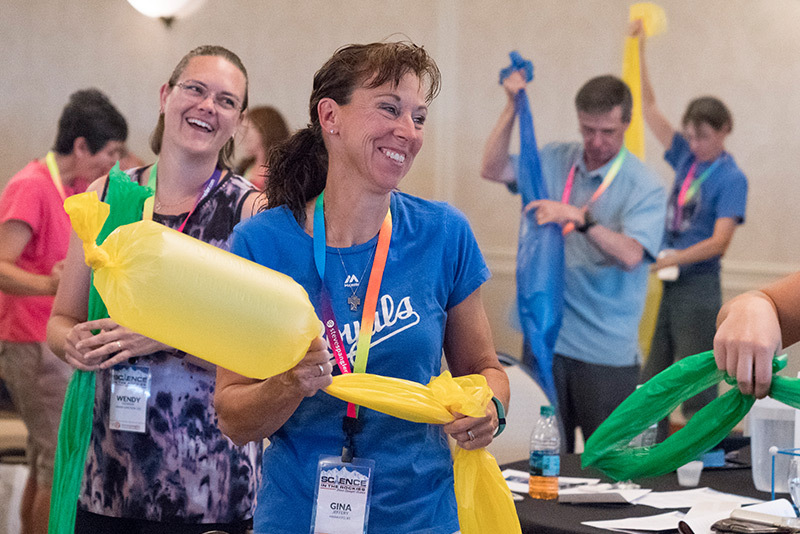 All of our professional development opportunities are great, but Science in the Rockies is Steve Spangler’s ultimate teacher training experience. HOW MANY PEOPLE WILL ATTEND THE CONFERENCE? This event is setup for 168 teachers from around the country and the world. CAN I EARN PROFESSIONAL DEVELOPMENT CREDITS? Participants may earn graduate-level professional development semester credit, also known as professional development units, through our partnership with Brandman University. These credits are not part of a degree program, but instead are primarily used for professional advancement (such as salary increment steps and recertification). You can earn three credits by completing the Science In The Rockies. An application for credit is given at the end of the event and must be completed within one month of the event. Payment is due ($210) with your application and is sent directly to Brandman University. Call 855-228-8780 with questions. An invoice will be sent out when paying by check or purchase order with payment due 30 days from your registration date. If you are paying by purchase order, please email your purchase order to carly@stevespangler.com or mail a copy of purchase order to the address listed below. Payment is due in full by June 1, 2019. If we do not receive payment by June 1, 2019 your registration will be cancelled. A payment plan is available by credit card only. You must make at least a $100 payment at the time of registration. The monthly amount can selected when you setup your payment by phone. We will charge your credit card each month between the 1st and 4th. All registration fees are due in full by June 1, 2019. To receive a full refund, cancellations must be made by June 8, 2019. Due to planning purposes any cancellation made after the June 8, 2019 deadline will be eligible for a 50% refund. I attended the Science in the Rockies in 2017. The best message I received from the Science in the Rockies was the energy and passion Steve and his team have to make science come to life in every classroom! Doug Hodous was that science teacher who changed the way Steve thought about science, now it’s our turn to be that science teacher to our students the way Doug was to Steve. Thank you again Spangler team for creating an experience that I can share with my students for many years to come. Science In The Rockies 2017 was the best science/STEM conference I have personally ever attended. You get to teach us these awesome experiments in the purest platform! What I mean by that is – this conference was literally teaching in its purest form, all about experiences with no strings attached. As I wrapped up my 1st year of teaching, this really refreshed my love for science and I cant wait to create brand new science experiences with future students. I seriously wish every teacher that has a passion for making learning fun could attend this conference, it was truly amazing. Thank you Steve, and your awesome staff for the phenomenal experiences you created for me and everyone else. Hope to see y’all in the future! Wow! What an incredible experience! After 23 years of teaching this is hands down the best professional development conference I have ever been to! All of the activities that were presented I will easily be able to take back and use in my classroom! Thanks for an amazing experience! 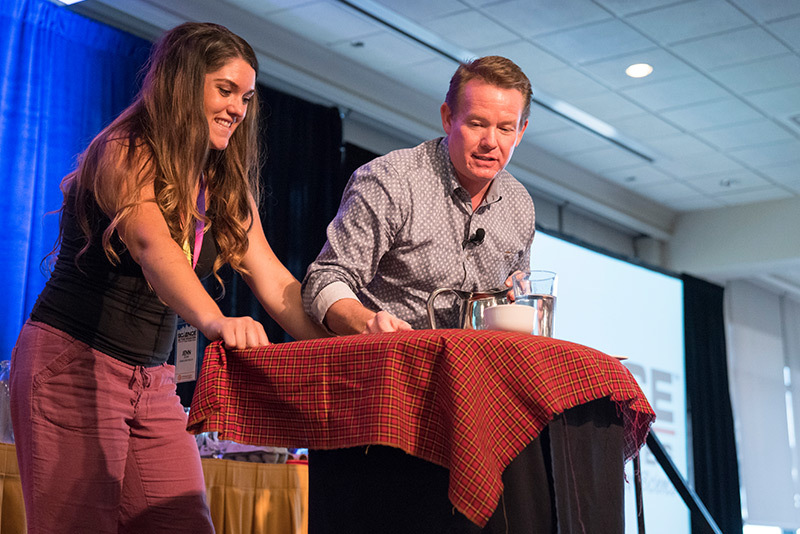 This past week I had the pleasure of attending Science in the Rockies with Steve Spangler. I knew it would be a worthwhile way to spend a few days of my summer, but I had no idea I would leave feeling more inspired than I ever remember being. Spangler and his team created an experience that will stay with me forever, and I cannot thank them enough. I enjoyed this conference more than my first time rock climbing and going to the Star Wars costume exhibit at the Denver Art Museum COMBINED. Thank you for making my summer, and sharing your passion. I have been an educator for over 25 years, and typically go to a couple of conferences/workshops a year. This experience has been the funniest and most enjoyable workshop I have ever attended, and it re-energized me for the new school year. Thanks so much to Steve and his great team! My sister Elise Saidler and I attended your conference Science in the Rockies. We are both Christian preschool teachers and we appreciated everything about the conference including breakfast,the shuttle and the hotel. We especially appreciated you, your family, your science teacher and your staff. This is my 14th year teaching preschool and I love science. I am so excited to usethese experiments to show God’s wonderful world to my students. I have attended many workshops in my career but this was one of the most interested and interactive workshop. Thanks for the experience. Science In The Rockies was amazing. It was a wonderful learning experience and just plain fun. Someone once said that education is not the filling of a pail but it’s the lighting of a fire. You have been lighting the science fire for years and I am so glad that I have had the opportunity to learn from you and to attend your conference. Thank-you to your wonderful staff and thank-you for all of the supplies that you sent home with us. I can’t wait to use them. Science in the Rockies was an engaging three day adventure into science unlike any other workshop I have attended! After 30 plus years of teaching, I have found the one workshop that will truly impact my students with engaging lessons for curious minds. 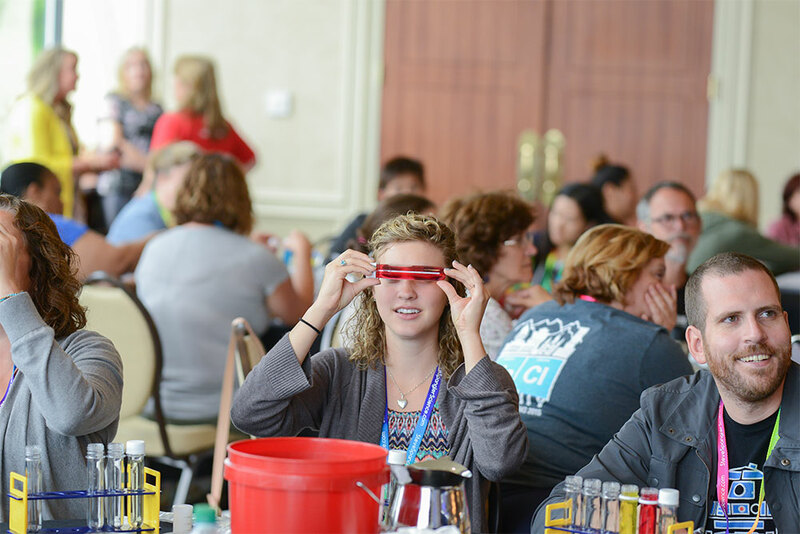 The activities are well thought out and align with both the Common Core and NGSS requirements. 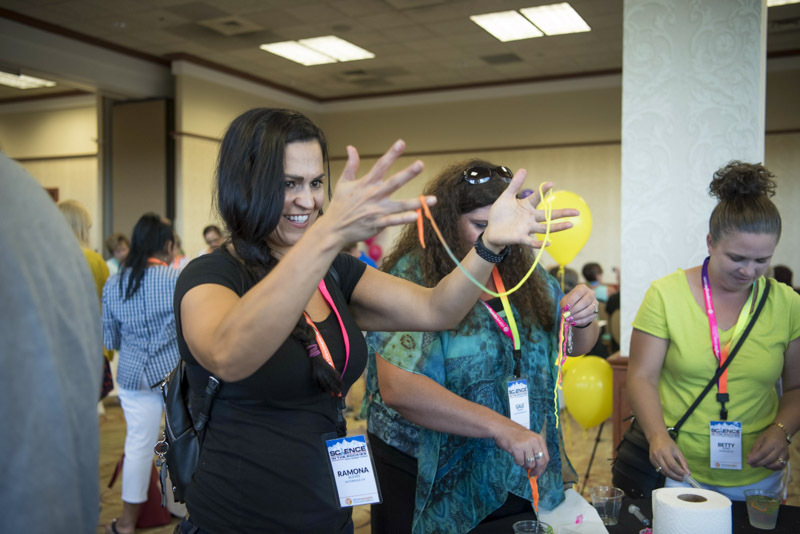 My classroom will never be the same after utilizing the experiments and activities I learned during this workshop. Thank you Steve Spangler and the “Spangler team” for enriching my future science lessons and helping me to create a better learning environment for my students. Science in the Rockies was the BEST professional development that I have ever experienced! Truly was the best conference I have ever been to. I will be doing a “science circus” night at our preschool back to school night- on a smaller. Ersion. Thanks for the inspiration! The most important message that I took with me from Science in the Rockies is to create an “experience” for our learners, and that is what I left with as well. I feel rejuvenated to return to my classroom (and my home with my 9 year old) and bring forth the wonderment and inquiry found within the many experiments you shared! Thanks to you and yours for such an energized and organized delivery. I recommend the Steve Spangler Experience to anyone who wishes to spread the spark of learning! Thank you to the entire staff for the fantastic 2 1/2 days. Everyone was so nice, helpful and professional. This was the most useful professional development I have ever participated in, and I’ve been teaching almost 30 years. I plan on using some of the techniques and activities with the faculty during preplanning and with my students during the first week of school. will never forget and beg to revisit! The Science in the Rockies is unlike any other training I have been to. Everyone is constantly doing hands-on activities, and Steve Spangler presents the material in such an enthusiastic way; Everyone is having a great time! The experiments and information in the trainings are not only fun, they are also very applicable. I went to bed dreaming about ways to incorporate the science activities into my 2nd grade classroom. This training will definitely make a difference for me in my classroom! What I appreciated the most was not just the cool demos, but how Steve could explain the science behind it, AND give us ideas of lessons we could use them for. The way you presented the Film Canister activity this morning was exactly what I am looking for – an impressive activity, AND how to manage a lesson, guiding the students through the scientific method without the process being too long/complicated. Best Conference Ever! The Spangler Gang did more than wow us with great science experiments. They motivated us to focus on the experiences that our students will remember and take home to the dinner table! I’m excited to use Steve’s materials across the curriculum. Science in the Rockies was by far the BEST professional development that I have attended in my 17 years of teaching. I learned a ton, laughed a lot and feel much more prepared to add science into my school day. I can’t wait to implement the great ideas I learned at Science in the Rockies into my art class. Your message about creating a STEAM-rich environment for our students inspired me to create units that will have my kids asking more questions and communicating with passion through their art. Thanks for making STEM and STEAM make sense. Science in the Rockies was a wonderful opportunity to rediscover the joy of wonder. It was jam packed with fun, science, collaboration and the WOW factor. My 7th grade science classroom will never be the same again. 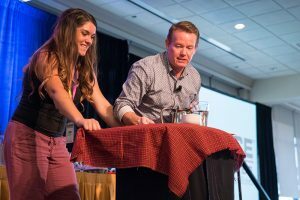 Steve Spangler is a talented entertainer, with the heart of an educator, and the mind of a scientist. This combination makes for an amazing learning experience. Science in the Rockies was awesome! Normally I leave teacher trainings feeling like my head is going to explode and not in a good way. I felt the same leaving SITR, but this time it’s exploding with great ideas, stuff I can’t wait to try, confetti, and party poppers! I’m so excited to get started using what I learned! I only wish the workshop was longer! This was the best conference I have ever been to. I have so many exciting activities, labs, and inspirational leadership projects I can use immediately with all the equipment I need to do them. So far I have already used four of the activities with my summer class and they are so excited to learn more. I can’t wait to attend my next Spangler event and am crossing my fingers for Science at Sea in 2017! 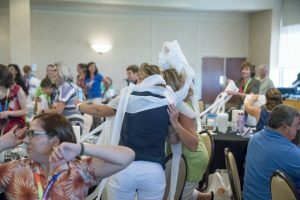 As a teacher for over 30 years, I have attended more workshops than I can count, but yours was truly amazing. The presentations were engaging and exciting. Every teacher at my table could not stop talking about how we would use each and every activity with our students. We were so inspired! I have attended numerous workshops over my 15 years of teaching science and none have produced as many ideas for my classroom as Science in the Rockies! It was any experience that I will never forget! Thank You! 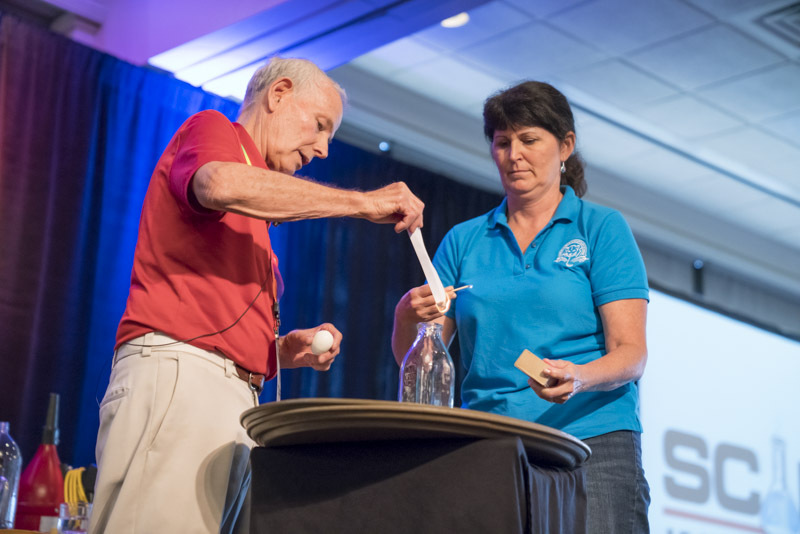 After attending educational conferences for over 25 years, “Science in The Rockies” was hands-down the best! I came back with great new ideas and excited about sharing science with children. This was fun! Educational! And oh so worth while. Can’t believe all the cool stuff I was sent home with too. I look forward to my next Steve Spangler event! Thank you a million. Science in the Rockies was so much more than learning about science. When you attend this workshop you learn how to be a better teacher. Steve is a master teacher who will inspire you to dig deep and be better than you ever thought you could be.